More cooking videos are yet to come from India but I wanted to share an exceptional lunch I had today. This is my very first day in Kuala Lumpur and my friend Christina took me to a restaurant called Oriental Bowl. Owned by Kenny Chen and family, Oriental Bowl is located at China Town, the very busy and colorful part of the city. We went upstairs 2nd floor to a private dining room and they served us an amazing lunch starting with the Chinese New Year Salad. This salad represents good luck, prosperity, togetherness, health and fortune. 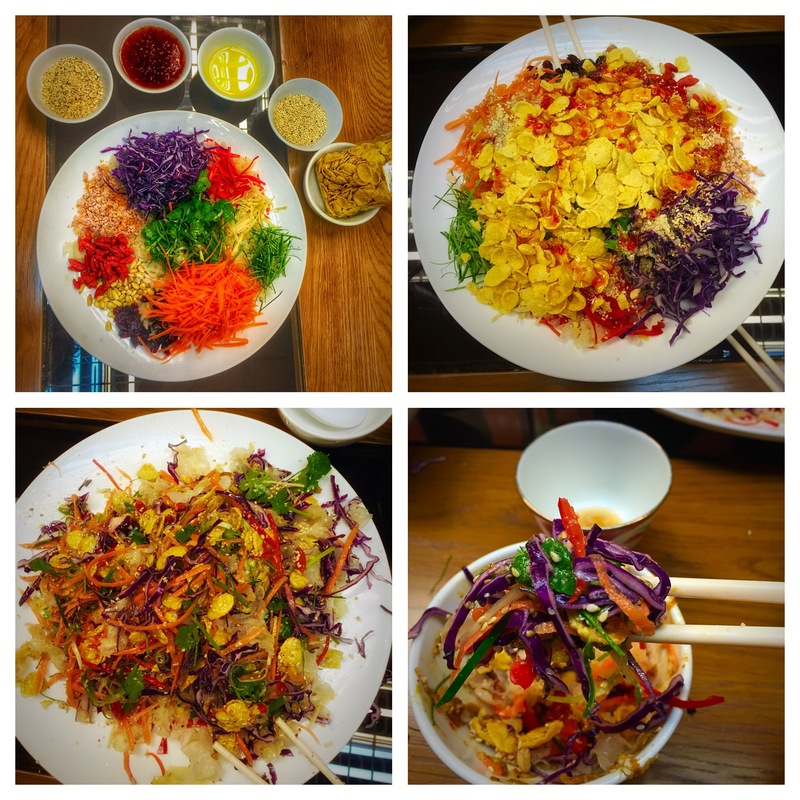 Made of 12 ingredients and 5 toppings, you have to mix everything one by one and say “Lou Sang” while doing it. The ingredients of the salad are: Ginger slices, white fungus, carrot, lemongrass, chillies, coriander, goji berries, cranberries, seasoned orange peels, purple cabbage and pine nuts. The toppings are: Almond powder, sweet & sour sauce, olive oil, sesame seeds and cornflakes. Each topping represent something. Cornflakes for gold, Almond powder is for hapinnes, sesame seeds for money, sweet and sour souce is for happiness, luck and romance. Here you can see how it looks like before and after mixing the salad. The noodles are called kway tiao and they can be roughly translated as “stir-fry ricecake strips”. It’s a very popular dish in Malaysia. 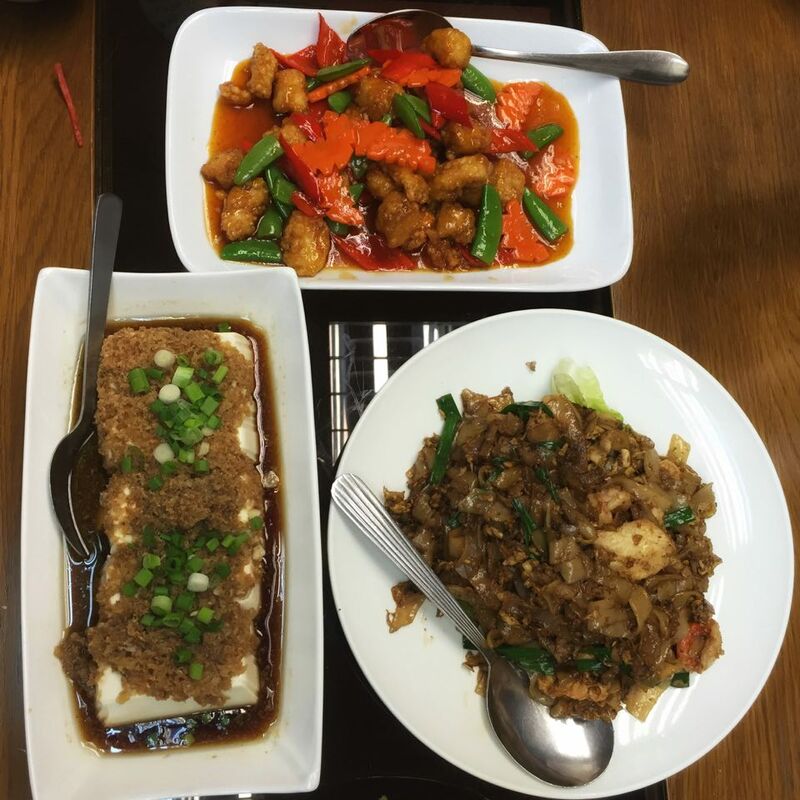 The tofu’s taste was enriched by the minced prawns, the sweet & sour porks were crisp and tender and made me want to go for them again and again. Sweet & sour prawn and fish were needlessly to say quite delicious as well. Then came the Lotus sweet. 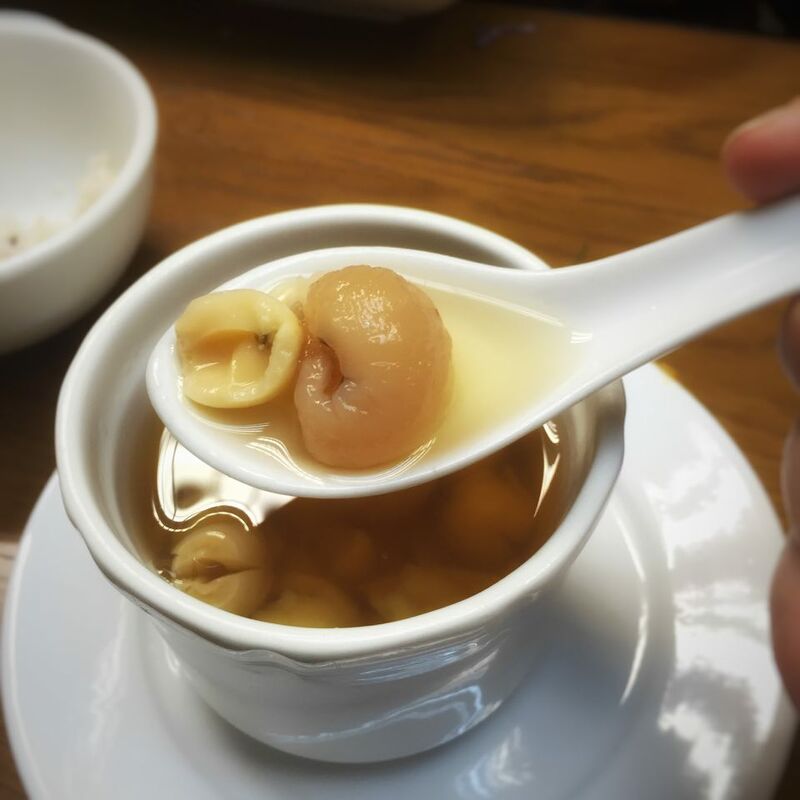 Lotus with dried longan sweet soup. Who knew lotus seeds would taste this starchy. It reminded me a local desert we have in Turkey called “Aşure” Aşure is made of grains like beans, chickpeas and dried fruits like apricots. This perfect lunch was ended with a tradional Chinese tea ceremony. 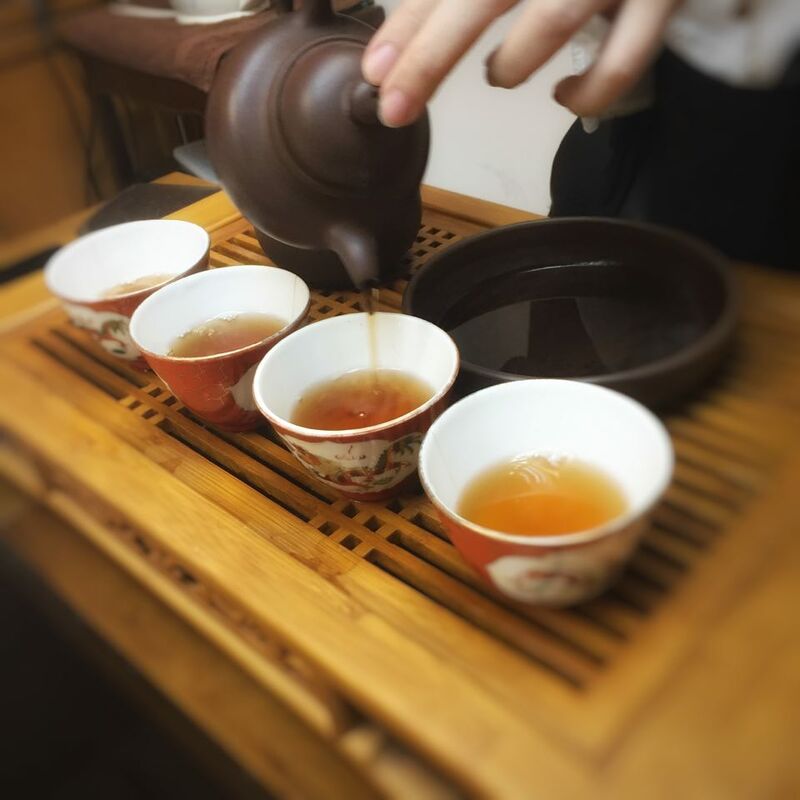 Pu-erh or Pu’er tea is a fermented and aged tradional chinese tea produced in the Yunnan providence of China. Our Pu-erh was 30 years old one from special collection of Kenny Chin. The first round poured into cups are not to drink but to be thrown away. You can only start drinking at the second round. After having cup after cup and over a delightful conversation with Amanda, daughter of Kenny and his lovely wife Yin, it was time to leave. But not without having a farewell photo. 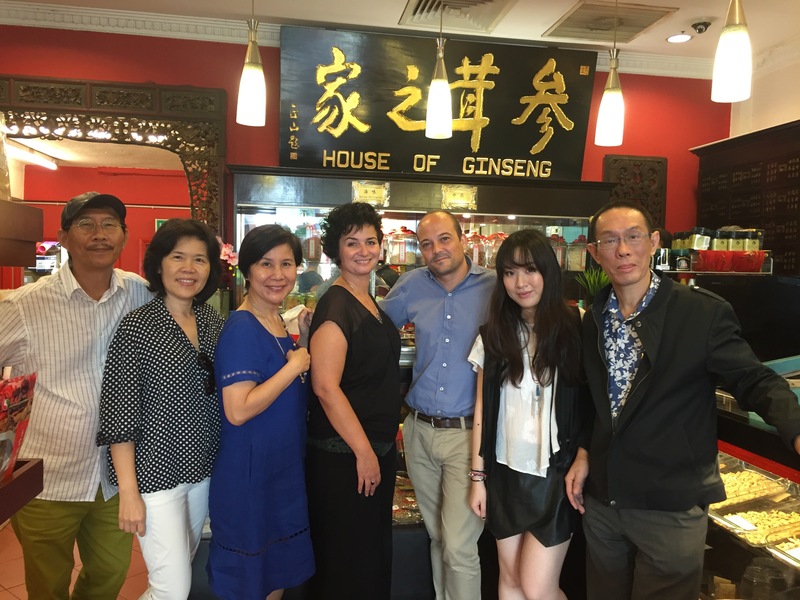 We went down to their store “House of Ginseng” full of Chinese herbs and goodies and the rest is now a fond memory. My first food adventure in Kuala Lumpur has resulted with complete satisfaction, thanks to Christina & Peter, who were kind enough to take me to Oriental Bowl for a Chinese Malaysian experience. Here you can see Peter, Christina, Kenny’s wife Yin, Me, Miguel, Amanda and Kenny.